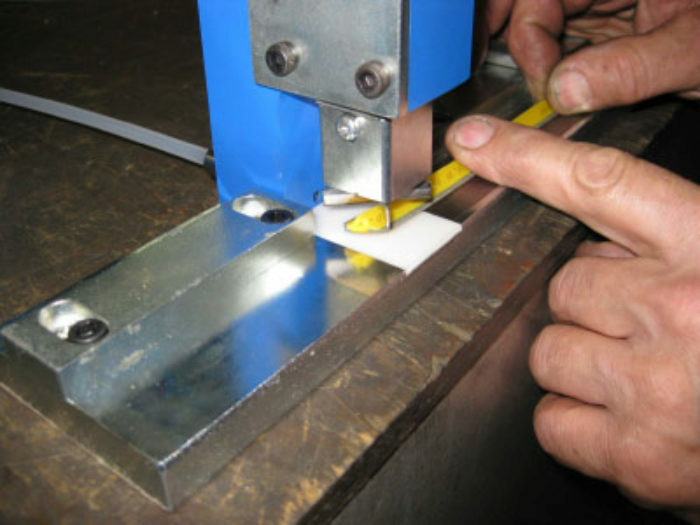 We manufacture and supply all types of bending and cutting dies for manual lever operated rule bending equipment and also automatic computer operated rule bending and cutting machines. We supply and sharpen all tooling for Richards, Helmold, Easy Cutter and East Bender products as well as any other die cutting equipment that you may have. 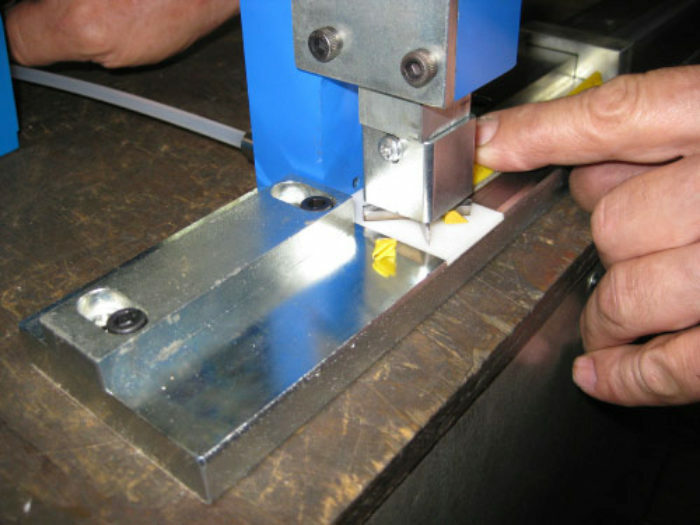 We also sharpen rotary easy bender cutting dies and manufacture all associated punches. We manufacture rule curving equipment, zipper notcher equipment, matrix cutters, Pneaumatic Nicking tools, rule pullers, Martin Hoops, aligning brackets. We also provide die cutting services. 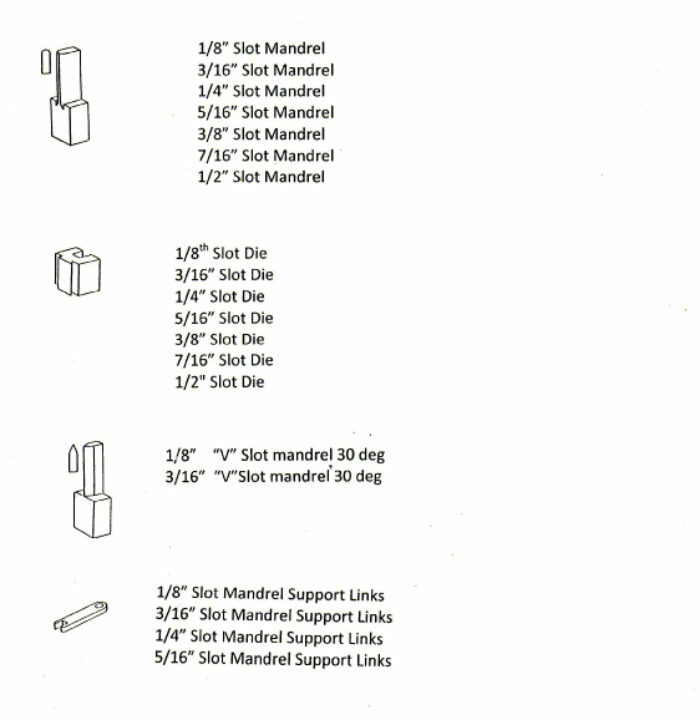 A brief list of the types of die cutting tooling that we manufacture can be seen in the items listed below. 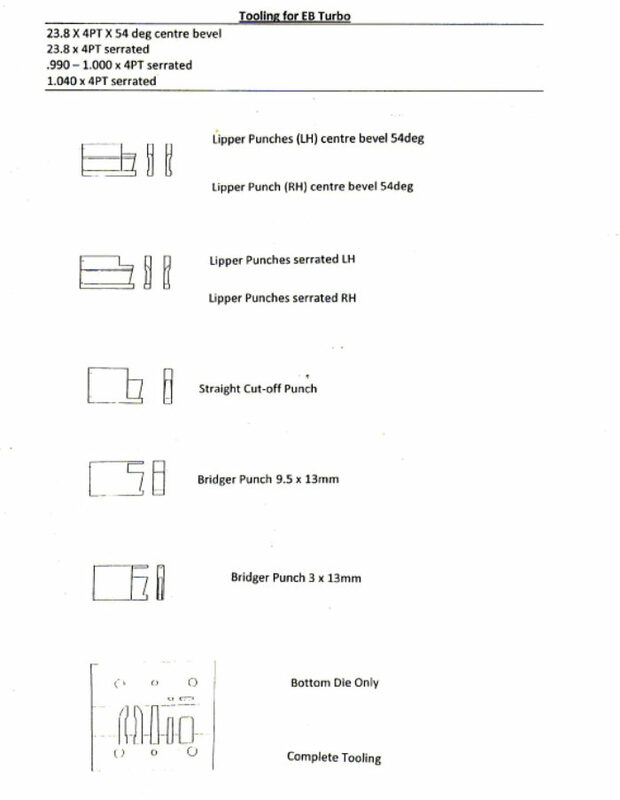 This is not an exhaustive list but gives you an idea of what die cutting products we manufacture and supply. We supply heavy duty Mallets made from durable reinforced plastic material. We manufacture 2 sizes, a large 80mm diameter mallet and a small 50mm diameter mallet. These brackets are made from steel and zinc plated, which fit together well and don't rust. Perfect for joining die boards together. 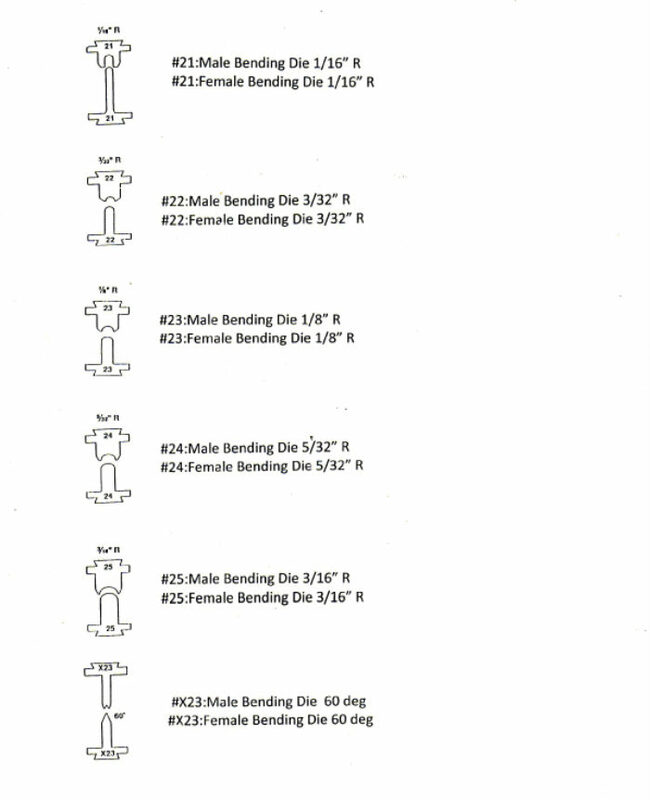 We sell our aligning brackets in cartons of 500 units. We can ship anywhere in Australia or overseas. to significantly reduce a workers hand soreness. We sell replaceable matrix cutters below (easy to replace just undo screws). machines. 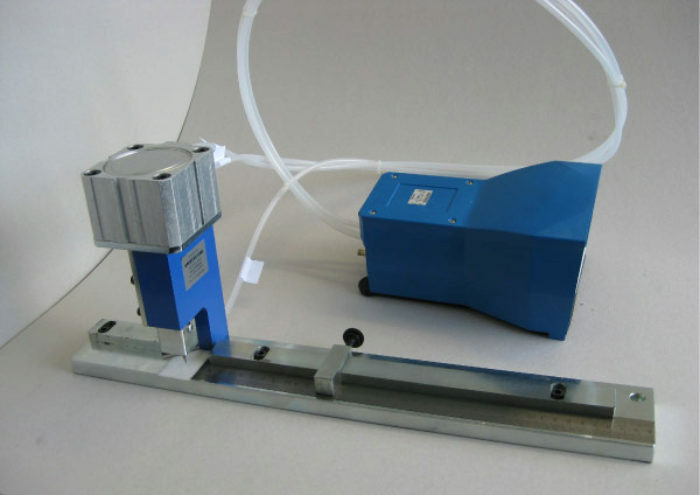 Our speedex pneumatic matrix cutter is seen below with associated pneumatic foot petal. Our machines enable you to cut mitered bevels as seen above. Please note that all of our matrix cutters come with transparent safety covers. This tool is great for cutting all types of steel cutting rule. Just add circular cutting disks and hold cutter over rule and press trigger. 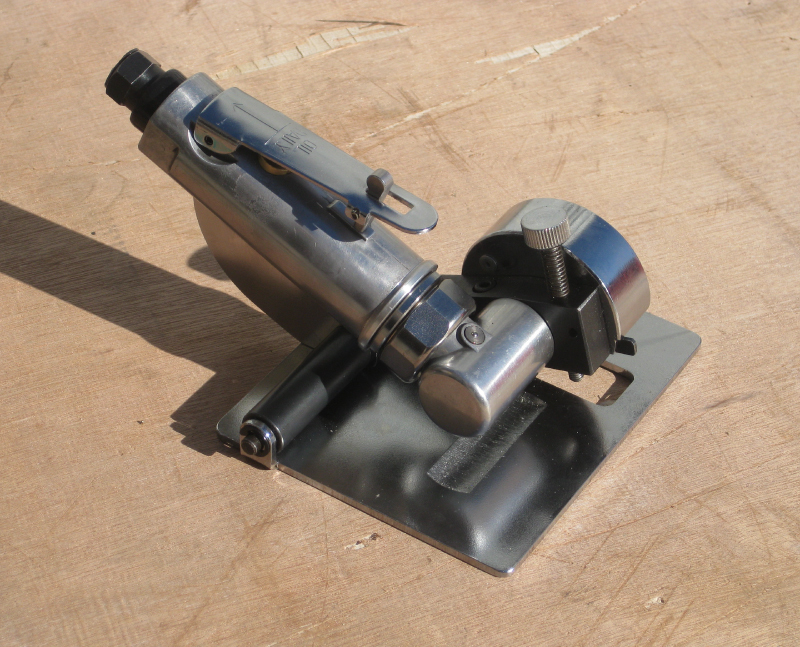 Enables you to slice through cutting rule while it is in plywood. Easy to use and easy to remove and replace cutting disks. These pictures below are of our latest Nicking Tools as of 2018. We now have some parts plated for improved appearance. 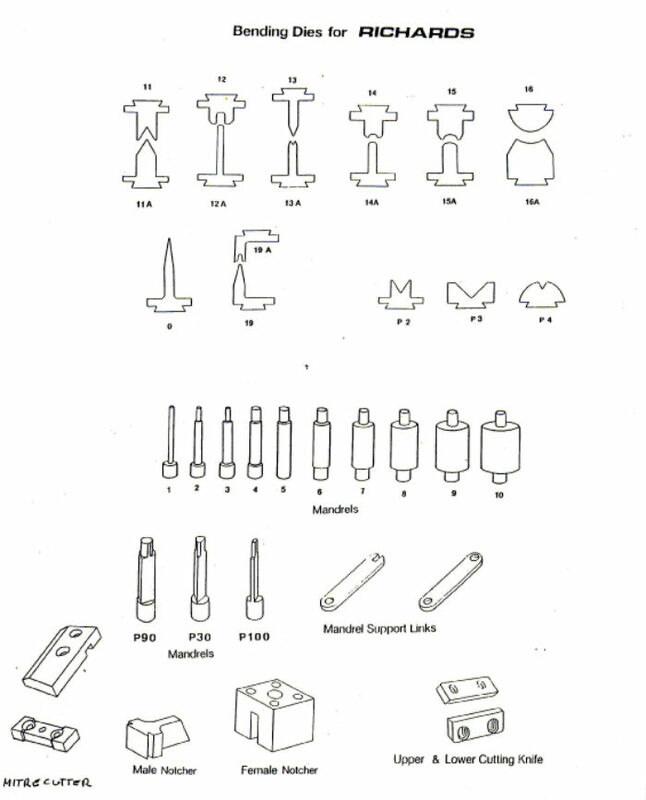 We manufacture, sell and service tooling used in the manufacture of form dies. 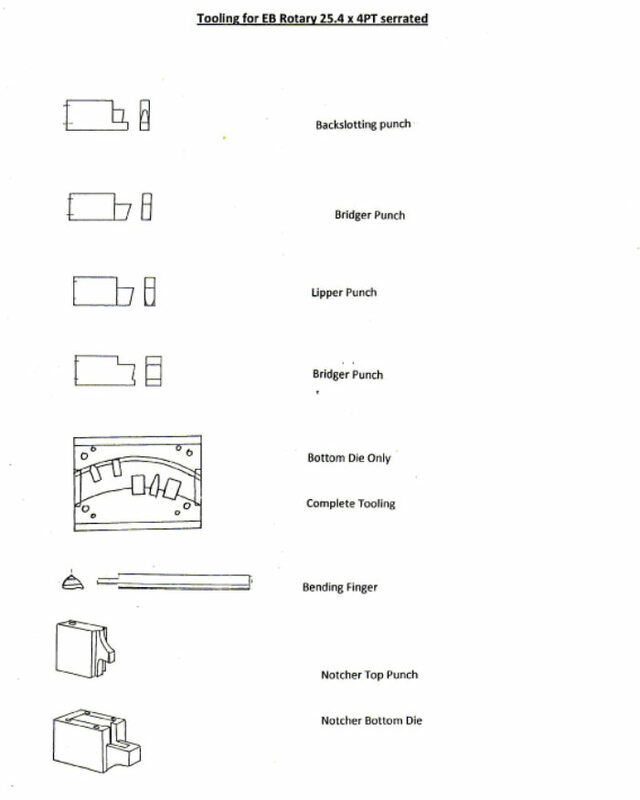 We also provide sharpening services for worn dies and punches. 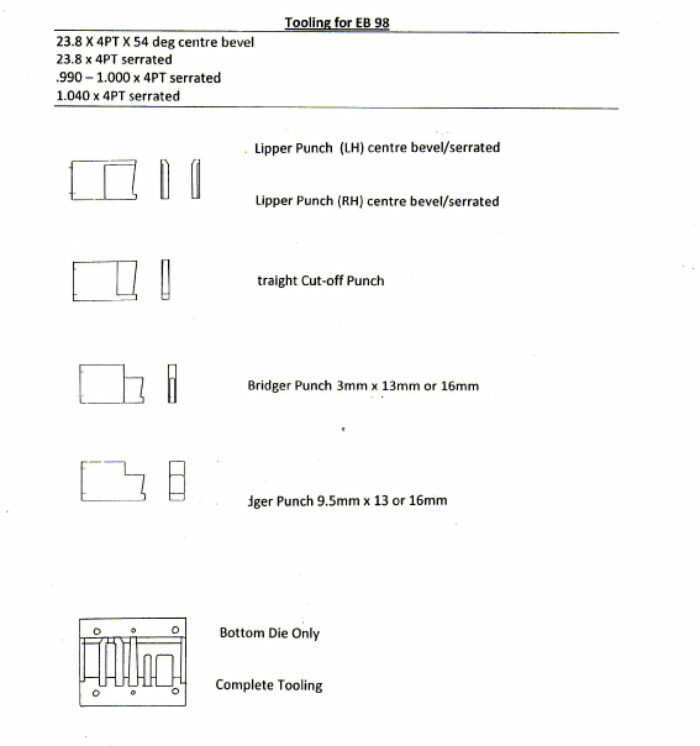 And can design and make improvements to any of your rule and general steel stamping and punching requirements. Our hoops are durable, made from extruded aluminium not cast so they will not break and can be re-usable, light weight, and most of all reliable. 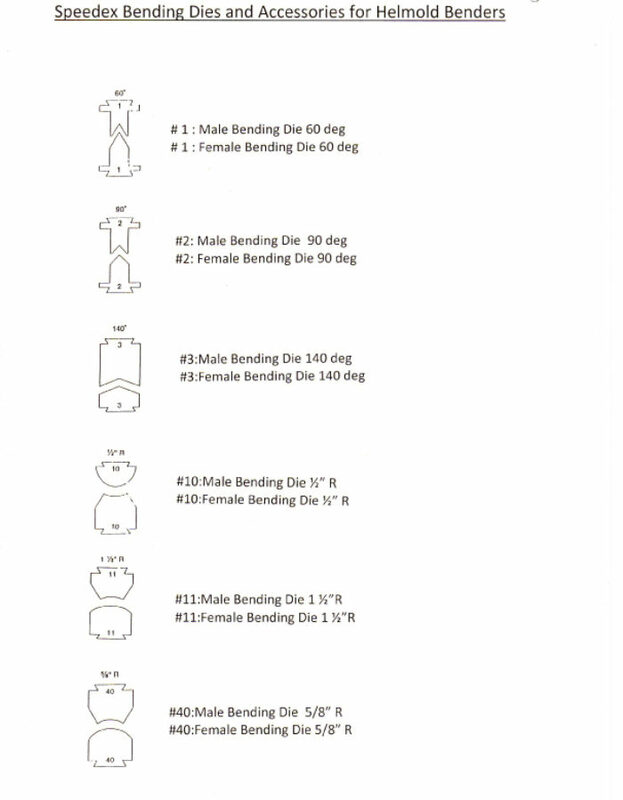 They are made to a high quality of bend. We manufacture 3 sizes of rotary hoops, small (for 924 cylinder), medium(for 1228 cylinder) and large(for 1628 cylinder). Features special purpose rollers with an "all-in-one" unique design which can bend all types of common rule. 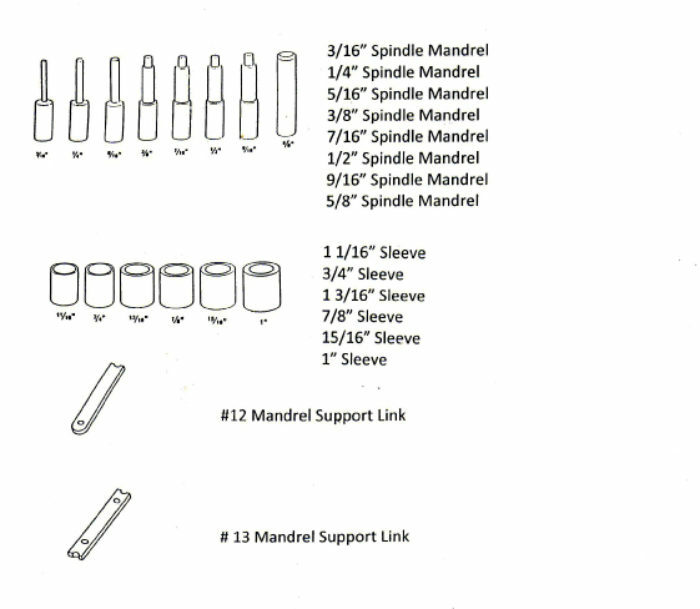 Just select which groove to use and you have the perfect machine to suit all of your manual rule bending needs. Curver features measuring scale to allow a user to make more efficient and repeatable curves. 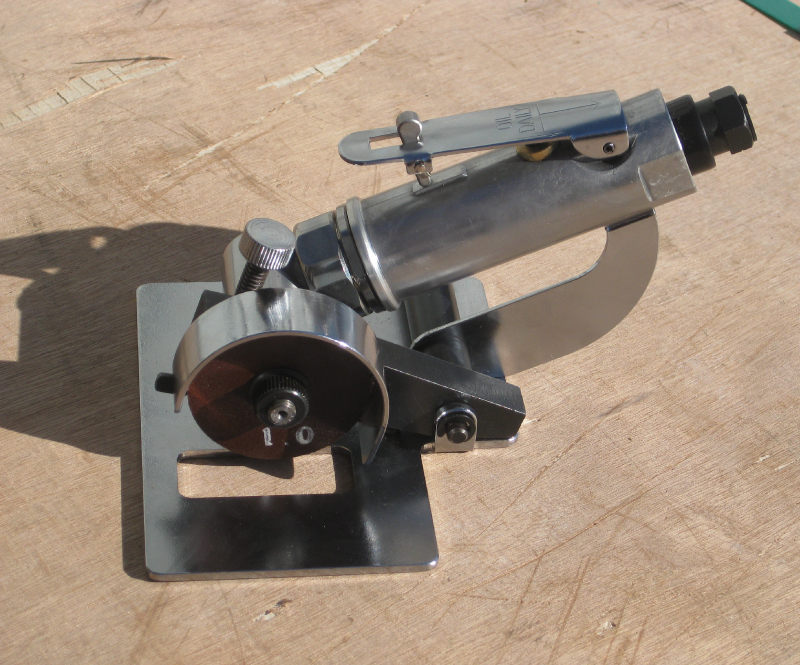 We pack the rule curving machine in a secure custom wooden box to be shipped to your address. is used to cut cardboard boxes, which need to tear apart along a zipper like path. 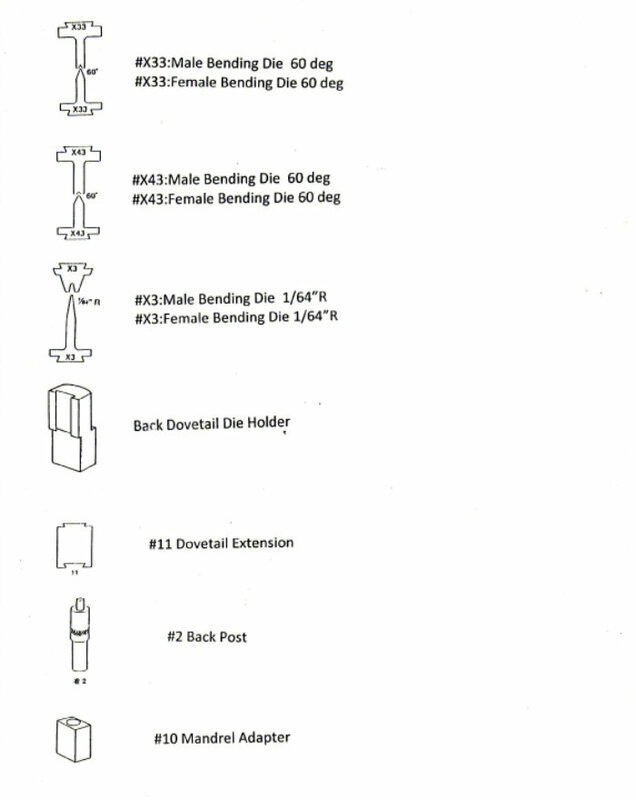 Some examples of the finished zipper rule look like as follows. 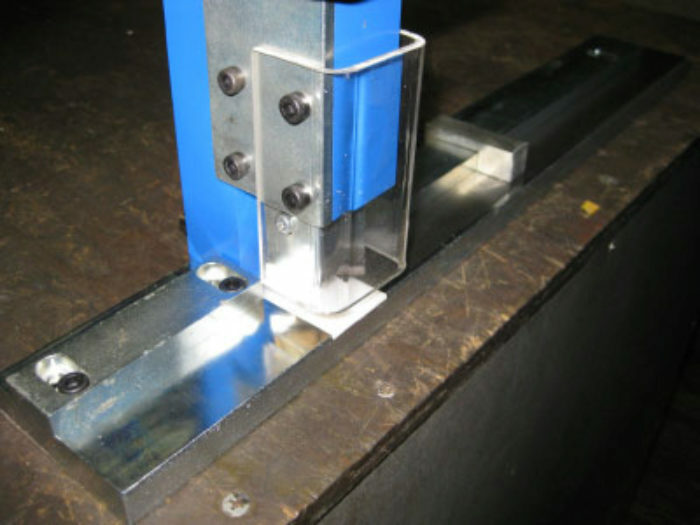 We manufacture special purpose repair clamps which can be used on flat and rotary die boards. 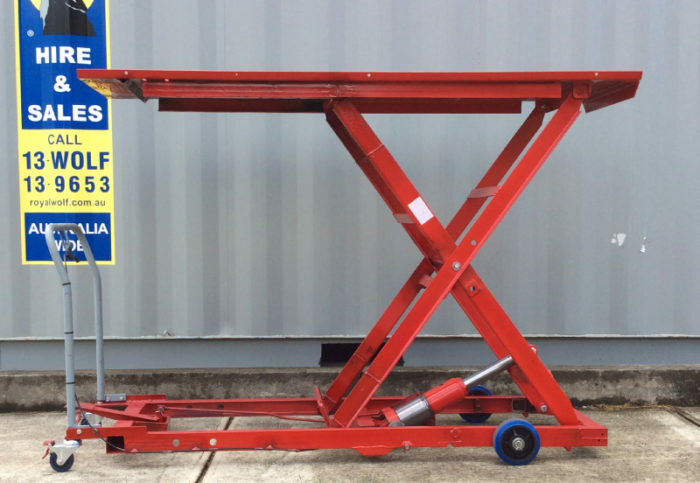 We Manufacture special die board trolleys that have hand brakes for safety and are very maneuverable. They are manufactured to be lowered extremely low and be very compact, and can handle jumbo sized die boards.